It’s fair to say that Marks & Spencer weren’t always very enthusiastic about wine. When a change to retail licensing laws in 1962 first allowed supermarkets to sell alcohol, they remained unmoved. First Sainsbury’s, and then Tesco, Waitrose and the Co-Op all launched light-headedly into this intoxicating new market, but for a full decade M&S sat on the sidelines, pushing through sober ranges of children’s knitwear, men’s slacks and women’s undergarments and watching the tills unmerrily ring. Britons tend to look back in anguish at the kind of atrocities being perpetrated on our wine aisles in the 1970s – around 3.5m bottles of off-dry German horror Blue Nun were sold every year, for starters – but though our collective tastebuds were still very much being honed, we were at least showing admirable enthusiasm. Pamela Vandyke Price, the Times’ wine correspondent, cooed over “the existence of a market that is prepared to sample and accept wine drinking as part of the life of the seventies, as they tried and now enjoy the avocado pear and aubergine, the fondue party and the barbecue”. Early in 1973, after a strong rumour that their rivals Woolworths were about to enter the drinks trade, M&S finally felt forced to act. The managing director of Stowells of Chelsea, a wine merchant founded in 1878, bullishly predicted that though an M&S move into wine “must add something to competition”, “I should think we would carry a much bigger range than they would be able to.” He probably possessed a handsome collection of crystal decanters, but crystal balls were in short supply. 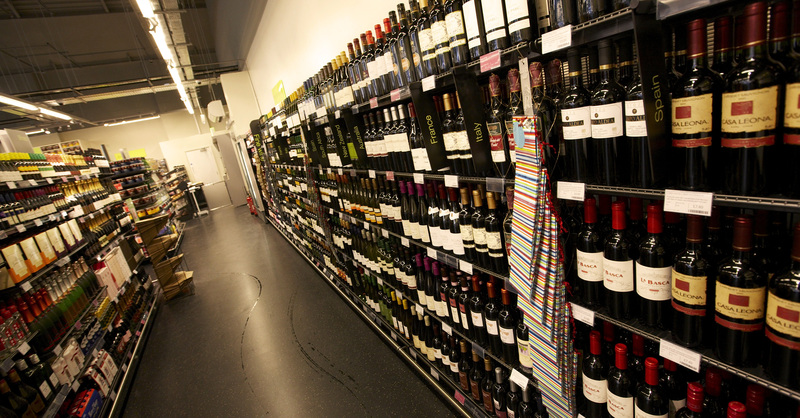 M&S now stock somewhere north of 1,000 different wines, while Stowells add very little indeed to competition, existing only as a supplier of discountable but far from delectable drinks to the likes of Bargain Booze. One day in June 1973, at Bristol magistrates court, Marks and Spencer applied for, and received, a license to sell alcohol. That October 12 stores stocked the company’s first, diminutive range of wines: eight in all, plus four sherries. It must have done OK, because by early 1975 the experiment had been rolled out to more than 30 major stores, and it’s been onwards and upwards ever since. They may have found wine an acquired taste, and as such their entrance into the market merits only a footnote in history, but its anniversary is still worth celebrating. After all, M&S now have possibly the most diverse wine offering on the high street, with outlandish recent additions including Greek wines made from tikves and malagouzia, a 100% okuzgozu from Turkey and an amphora-aged orange wine made in Georgia from the rkatsiteli grape. M&S are celebrating their anniversary in minor way, with a microsite, a timeline – so brief that the 16 years between 1992 and 2008 don’t merit a single entry – and a mixed case. It’s quite a well-chosen selection of six bottles, sticking mainly with styles that have remained popular throughout their time in the wine trade – your Rioja, Chablis, Claret and Aussie shiraz – and rounding things off with a couple of currently-trendy whites, a Kiwi sauvignon and an Italian pinot grigio, from producers with whom they claim a 20-year association. The highlight of the press release announcing the case is the description of Christian Moueix as “a great fan of traditional Bordeaux reds”, which given that he’s in charge of Châteaux Pétrus and Trotanoy is truly a Methuselah of an understatement. The case is currently showing out of stock – I was supposed to post this last week, so if my slowness has ruined your mixed-case dreams I can only apologise – but I tried a couple of the wines included and particularly liked the Chablis, which is textbook clean, fresh chardonnay, zippy, refreshing and decently priced at £10.99 a bottle. The Hunter Valley Shiraz (£9.99), made by Tyrell’s, has been widely praised elsewhere, and though I wasn’t blown away I did find it utterly gluggable and, at 13%, less likely than many Aussie shirazes to cause serious regrets in the morning. 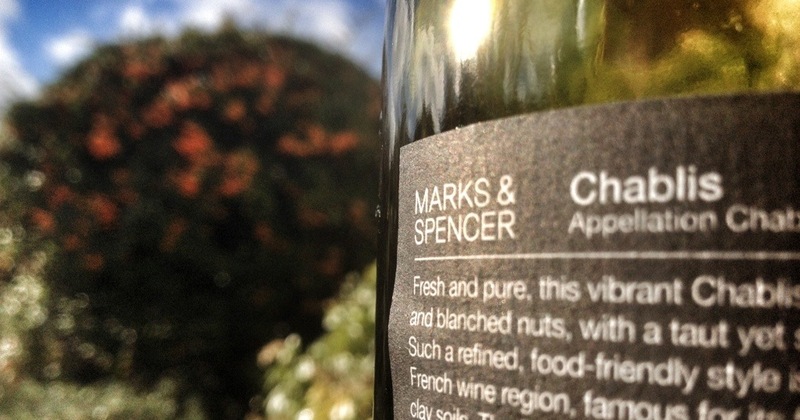 It’s yet more evidence to suggest that customers should be significantly less wary about entering an M&S wine aisle than M&S were about creating it in the first place.